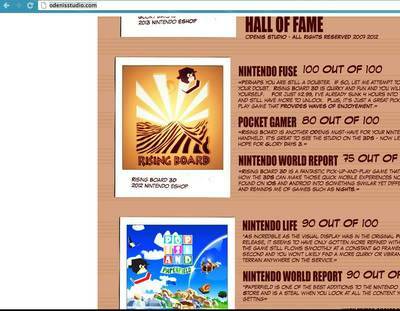 Look at the very top, you can see the bottom half of "Glory Days III" with coming to eShop 2013 on the bottom. Must have been an early slip up on the webpage. But exciting news for those who have enjoyed the Glory Days games. I've never seen anything about a Glory Days' game before myself, so can someone please at least inform me of what genre they belong to? "Real-Time Strategy" category. Look it up to get more info. You should check Glory Days Tactical Defense on eShop. Fun game. $2 too. Meh... I'll just take your word for it Komicturtle, because RTS games really aren't my thing. Thanks for the suggestion, though.